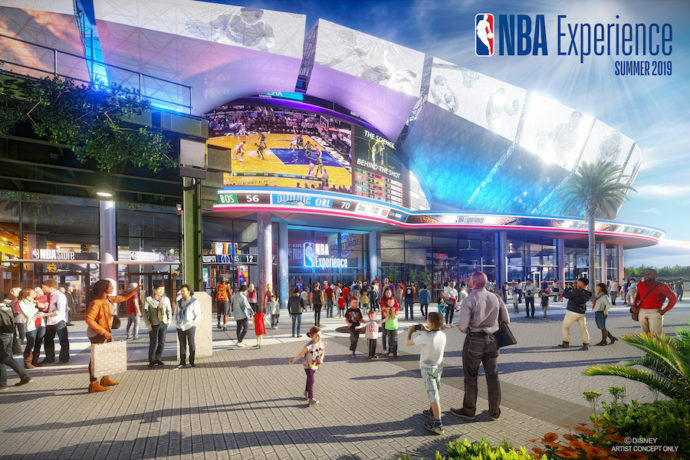 We’re getting our first look at concept art for the all new NBA Experience opening at Disney Springs at Walt Disney World in the summer of 2019. This will be replacing DisneyQuest that closed back in July of this year. 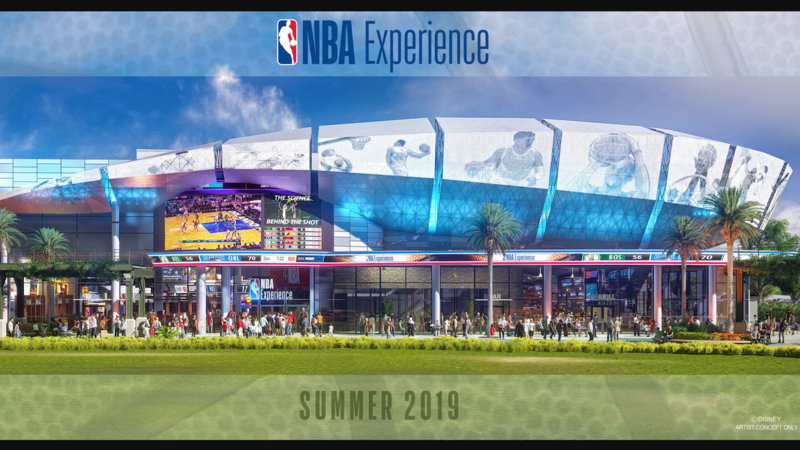 The state-of-the-art space will include interactive games and competitions, immersive experiences, a retail store and an adjacent restaurant. This is only one part of many new changes ahead for the West Side of Disney Springs. Read below for more details on this new experience.